Neither Red nor Blue will remain on hiatus in July. Information on my recently published Cold War thriller, Herald Square, can be found here. 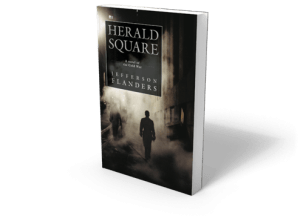 The new Cold War thriller by Jefferson Flanders, Herald Square, has been published and the trade paperback edition is now available on Amazon.com.